The blend of pure plant extracts, advanced technology, and flawless innovation has put Clarins on the beauty map as the European leader in luxury skin care for more than 50 years. 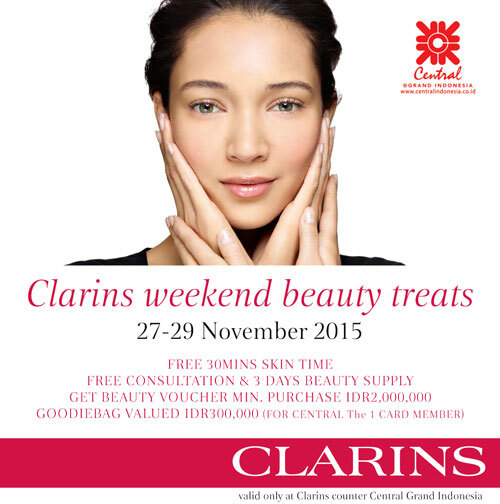 Find Clarins at Beauty Galerie, Central Department Store - Grand Indonesia, East Mall. Ground Floor.